Siegfried Wagner, Professor Emeritus, University of Stuttgart, born on May 6, 1937, in former Czechoslovakia, Wagner began his scientific career in 1962 at the Technical University of Munich, where he had previously studied mechanical engineering. As a doctoral student, he was engaged in the further development of the lifting-surface theory for wings. After graduating in 1967, he spent several years at NASA's Ames Research Center, where he continued his work on improved subsonic wing theory. Returning to Germany in 1970, he became head of the aerodynamics department in the helicopter division of Messerschmitt-Bölkow-Blohm GmbH (MBB). There he was responsible for the aerodynamic design of helicopter rotors, for which he applied the then very advanced transonic blade element theory. This resulted in significant improvements in flight performance capabilities, such as was demonstrated with the speed of 218 kt (404 km/h), achieved in 1975 with a modified Bo 105 in descending flight. Research in the field of helicopter aeromechanics, particularly in the development of numerical simulation methods, remained his great passion when he moved from industry to academia, joining the University of the German Armed Forces as a full professor in 1975. In 1991, Wagner accepted the offer of a professorship at the University of Stuttgart, where he took over the Institute of Aerodynamics and Gas Dynamics. There, he continued his research into the aeromechanics of helicopters using modern supercomputers, and established helicopter aeroacoustics as a new field of research there. Further areas of research interest were aircraft aerodynamics across the speed range from subsonic to hypersonic flight, as well as wind turbine aerodynamics and aeroacoustics. Wagner retired from the university in 2006. Wagner, who had been a member of AHS since 1984, was not only an outstanding scientist and research manager, but also a gifted university teacher. He was able to fascinate and inspire his students with his outstanding expert knowledge and his warm-hearted attitude. In 2009, Wagner was awarded the prestigious Ludwig-Prandtl-Ring of the German Society for Aeronautics and Astronautics (DGLR), for his outstanding lifetime achievement in the field of fluid mechanics. Dr. Siegfried Wagner, aerospace engineering professor emeritus at the University of Stuttgart, Germany, passed away on Jan. 29, after a long and serious illness. 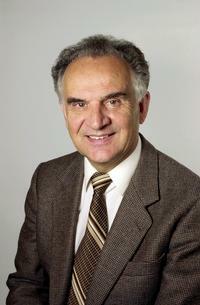 A full obituary is available online in German at www.iag.uni-stuttgart.de.